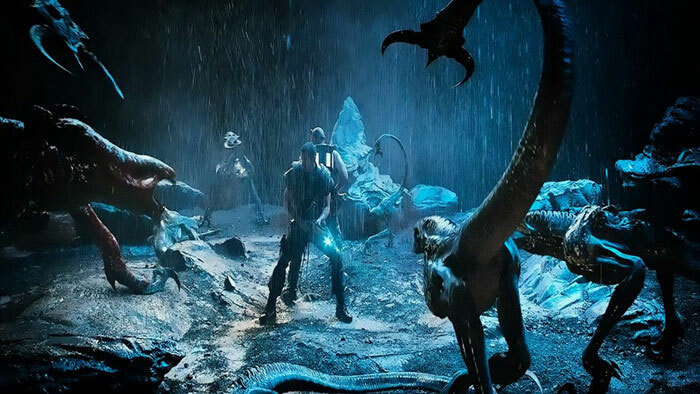 If you are searching for new Vin Diesel movie, Riddick should be a must see. Yes. 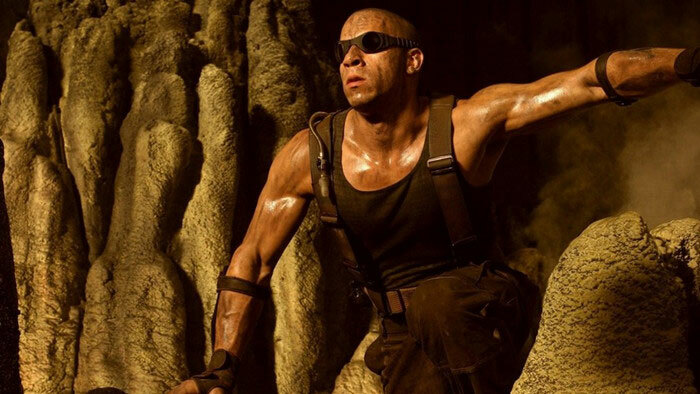 After 9 years, the Riddick series extends. Well, you may be disappointed about last film The Chronicles of Riddick, but as for this one, I’m sure you’ll like it and perhaps add it on your want-to-buy DVD list soon and look for solutions to rip DVD Riddick. So here to save your time, let’s talk about if it’s worth seeing or buying the DVD that is to be released on Jan 14, 2014. And after that, I’ll share you the most practical way to rip DVD Riddick and convert DVD Riddick to any format or transfer it to your devices like smart phones, Apple TV, Sony PSP, PS3 and any more. As mentioned above, Riddick is the latest chapter of the genuinely good sci-fi series - Riddick series which began from 2000’s hit film Pitch Black. At this time Diesel reprises his role as the antihero Riddick, a dangerous, escaped convict wanted by every bounty hunter on a sun-scorched planet. He fights for survival against alien predators more lethal than any human he's encountered and becomes more powerful and dangerous than ever before. Riddick received positive reviews from critics, which currently has a 60% approval rating on Rotten Tomatoes based on 151 critics. Well, the great cast of actors, great action, good back story and great effects are enough for me to pre-order the DVD Riddick. For those who agree with me, I want to share you how to rip DVD Riddick in advance. And for others, who don’t, the following information could be also useful. Why Rip and Convert DVD? Why do we need to rip DVD? I think it’s a common question. There are plenty of reasons. We need to protect our DVDs from being scratched. And copying the hot DVDs like Don Jon, Pacific Rim, Prisoners, Gravity, and The Wolverine to our portable devices is very convenient for playback. It’s much easier to share them with friends on the go. WonderFox DVD Video Converter is a great DVD ripping tool that I got from GOTD giveaway. It’s a blazing-fast powerful program which is more than a tool box. It helps me rip my favorite DVDs and convert them to any video format like MP4, MKV, AVI, FLV, 3GP, QuickTime MOV, etc. I believe it’ll provide the best solution to rip Riddick as well. And it also enables me download videos from YouTube, Facebook, Vimeo, Metacafe, etc, extract soundtracks from DVD or video as well as edit videos by trimming, cropping, clipping, applying effects. Before loading the DVD content, please make sure you’ve downloaded and installed it successfully. Step 1: Insert your DVD disc to the DVD-ROM drive. And then click the “Load DVD” button. Two options are offered – Main Movie and All Movies. Step 2: Open the output dropdown list on the right of the main interface. Select a format or device. Note: Various choices are offered. The supported devices include the newest iPhone 5S, 5C, iPad Air, Samsung GALAXY Note 3, Nokia, HTC, BlackBerry, Xbox, Zune, etc. You are able to convert video to YouTube, MySpace, Yahoo, SWF, etc. Step 3: Click “Run” to begin to rip DVD Riddick and convert DVD Riddick. The whole task will be finished soon. 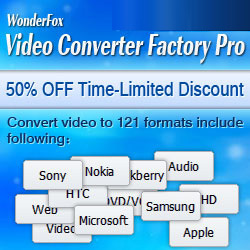 WonderFox DVD Video Converter is the best choice for both the beginner and the experienced. For beginners, it has the smart fit mode that you don’t have to learn which settings are the best for video audio quality and size. For those who are experienced at DVD ripping tools, it provides 30X-50X faster conversion speed in comparison with other similar software. Moreover, you are supported to do customized settings.